India on Monday said the trial of its national Kulbhushan Jadhav by a Pakistani military court "hopelessly failed" to satisfy even the minimum standards of due process and requested the International Court of Justice to declare it "unlawful". India's plea came as the top UN court began a four-day public hearing in the case of Jadhav, 48, who was sentenced to death by a Pakistani military court on charges of espionage. India, during the first day of the hearing, based its case on two broad issues -- breach of Vienna Convention on consular access and the process of resolution. Jadhav's trial by a Pakistani military court "hopelessly failed to satisfy even the minimum standards of due process", Salve said. 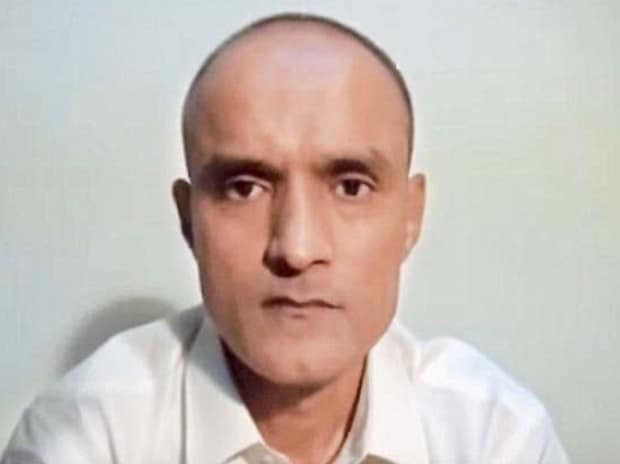 No "credible evidence" was provided by Pakistan to show his involvement in any act of terrorism and Jadhav's purported confession clearly appeared to be "coerced", Salve said. "There is no manner of doubt that Pakistan was using this as a propaganda tool. Pakistan was bound to grant consular access without delay," Salve said. "Pakistan used confession document as propaganda. Pakistan has disrespected the Vienna Convention," Salve said. During the hearing, Salve said Pakistan filed the FIR almost a month after the arrest of Jadhav. "In April 2016 and FIR was registered against Jadhav. In May 2016, Jadhav was interrogated, and India sent reminders for consular access across May, June, and July," Salve says. "India reminded Pakistan for consular access - 13 reminders were sent - but to no avail," he said. "Pakistan embarrassed to disclose charges against Jadhav," Salve said. Pakistan did not inform Kulbhushan Jadhav of his rights, he said. Salve read out the various sections and articles of the Vienna Convention under which foreign prisoners fall. "The Vienna Convention is a powerful tool that ensures the facility of consular access to foreign nationals who have been put on trial in foreign trial," he said. "Article 36 of the Vienna Convention says that a country must be informed about the detention of its citizens but Pakistan did not inform India about his arrest." Without consular access, he said, "India has no information on what happened to Kulbhushan Jadhav in Pakistan." "India and Pakistan have a bilateral agreement on consular access," he said. "Bilateral treaties cannot modify Article 36 of Vienna Convention. It could only supplement it," Salve added. Pakistan should have provided a substantial explanation for why it needed 3 months for providing consular access, upon which it could have claimed that it has complied with treaty obligation, Salve said. Salve argued that Pakistan did not uphold the Article 36 of the Vienna Convention that states consular access applies all nationals, regardless of espionage claims in Jadhav's case. He said that the ICJ has already upheld the importance of consular access under Article 36 in two previous cases LaGrand (Germany vs USA) and Avena (Mexico vs USA). "This quite plainly, is an egregious violation of Pakistan's obligations under Article 36 of the Vienna Convention," said Salve. "They at one point said they might consider it if India assisted their investigation into him being an Indian spy, asked for evidence of bank accounts, phone numbers, etc," he said. Pakistan has not provided any evidence, he added. "Inhuman detention violation of universal rights," Salve said. He said Pakistan offered to allow Jadhav's family to visit him, the terms were agreed and the meeting was held on 25 December, 2017. "India was dismayed at the manner the meeting with Jadhav's family was conducted and wrote a letter on 27 December marking its protest," he said. Pakistan didn't send any details of the probe conducted by the Joint Investigation Team before informing the Indian side about the death sentence handed over to him. Jadhav was not appointed any lawyer during his trial by the Pakistani military court either, he said. Serious charges need strict adherence to due process, he emphasised.